It’s not all bad news for John Carter. The widely panned Disney film is expected to make just under $31 million in its debut weekend. That’s actually better than recent forecasts had predicted, which was more in line with $25 million. Nevertheless, John Carter has been soundly whipped by the unexpected box office hit, “The Lorax,” which will earn about $39 million this weekend (and did $70 million on its opening weekend last weekend). Disney is expected to take huge losses, as John Carter reportedly cost more than $250 million to produce. The losses will be assuaged, somewhat, through its worldwide distribution. Overseas, the film earned approximately $70 million. Still, considering marketing and other costs, Disney may remain in the hole with this film indefinitely. The film is based on a story by Edgar Rice Burroughs about a former Confederate soldier. 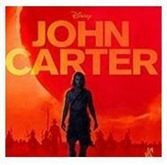 The soldier, John Carter, is mysteriously transported to Mars, where he becomes embroiled in a war on the red planet.